. إن الخدمات الممتازة وحسن الضيافة العالي في شاتو إيلان آت ذا فينتدج هانتر فالي تجعل إقامتك تجربة لا تنسى. إن واي فاي مجاني في جميع الغرف, مكتب الاستقبال على مدار الساعة, مرافق مخصصة لذوي الاحتياجات الخاصة, تخزين الأمتعة, واي فاي في المناطق العامة هي جزء فقط من الخدمات التي تميز شاتو إيلان آت ذا فينتدج هانتر فالي عن باقي الفنادق في المدينة. بالإضافة لهذا,تتضمن كل غرف الضيوف مجموعة واسعة من وسائل الراحة . بعض الغرف توفر حتى تلفزيون بشاشة مسطحة, حوض الاسترخاء, غرف لغير المدخنين, مكيف هواء, تدفئة لإرضاء أكثر الضيوف تطلباً. يمكنك طلب اللائحة الكاملة للخدمات في الفندق ومن بينها حوض استحمام ساخن, مركز للياقة البدنية, ملعب جولف (ضمن العقار), حمام سباحة خارجي, سبا. يحظى فندق شاتو إيلان آت ذا فينتدج هانتر فالي بموقع ممتاز وخدمات يصعب منافستها. يُمنَع منعًا باتًا إقامة الرضّع والأطفال في جناح السبا. وسيرفض العقار الحجوزات المقدّمة من النزلاء الذين بصحبتهم رضّع أو أطفال للإقامة في جناح السبا. We had a great time here. Room was beautiful and elegant. Good relaxing resort feel. Breakfast was satisfactory but the experience was wonderful. Seeping coffee and looking into the open green golf fields. Romantic!! ^ -^!! Staff at desk seems to prioritise their screens more than the customers in front desk. Even with only one customer waiting is involved. Same with restaurant there was no one during lunch time more waiting involved. Didn’t seem to be busy only one customer seated inside at the time. Overall I am happy with our stay, place is beautiful and nearby to places and breakfast was fabulous. Felt at home staying at Chateau Elan. Check in and check out were smooth. Location is ideal; close to many of the highly recommended vineyards ( Lake’s Folly, Brokenwood, Oakvale ) and lovely cafes/ restaurants such as Cafe Enzo, Beaume @ Ben Ean, EXP. Unbelievable sofisticated hotel! Best in Hunter Valley. Restaurant in the Golf Club is recommended. 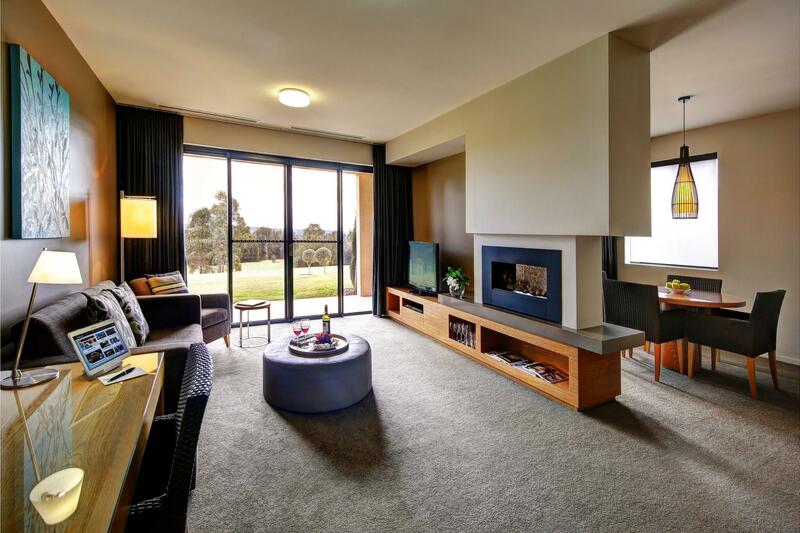 + Greeted by a family of kangaroos in the morning, excellent service at the front desk (her name is Mandy if I am not wrong), big and spacious rooms, complimentary movies as our TV did not work, free parking lots right in front of the villa. - There were a few mosquitoes and flies in the room. We ranked all stars at a 5 because we received a great deal for all that was offered: 1) Location was close to the wine & olive oil vineyards we visited, as well as city centers & restaurants. 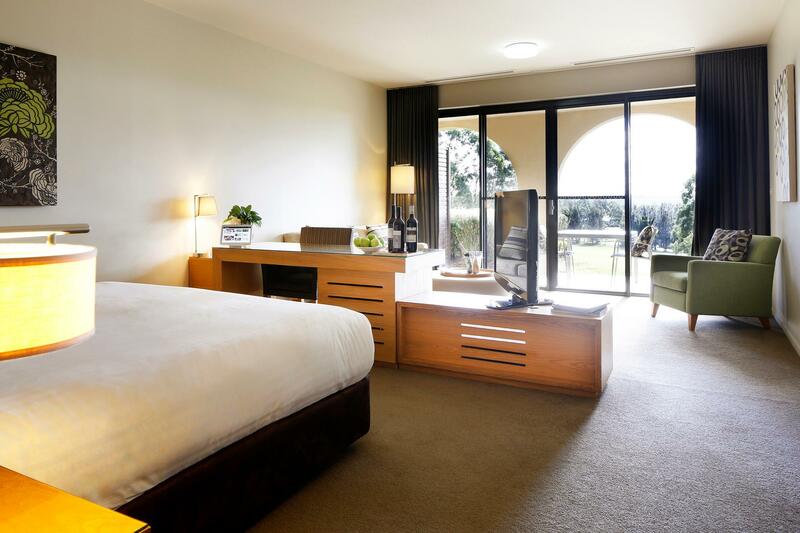 2) The room was of a good size, clean & had a good view of the golf course. 3) Customer service from the receptionists, guest services & cleaning services were all friendly & professional. 4) Upon arrival at close to 11 PM at night, true to its claims, we were greeted by a family of kangaroos right hanging around outside the hotel entrance (we didn't seem them again for the remainder of our stay but it was a really nice, unexpected surprise). 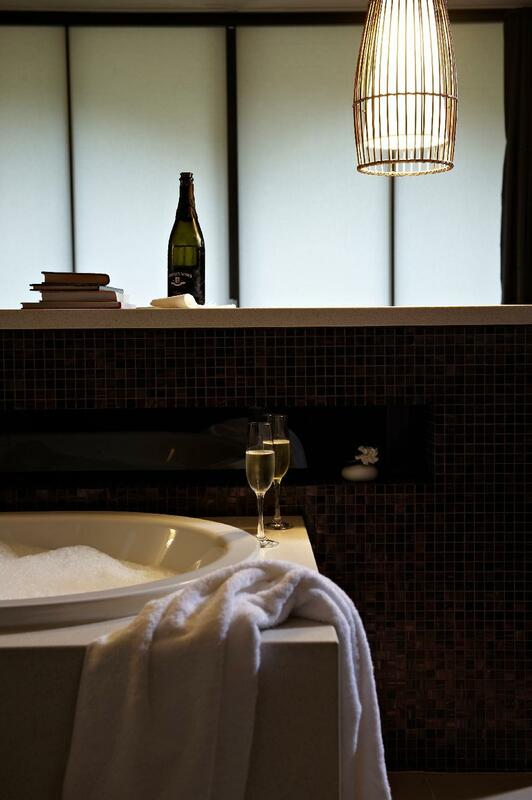 We highly recommend this hotel for a romantic or just relaxing trip stay in the Hunter Valley area. Location was great and room was big and spacious. Amenities were great as well, as there were carpark slots just outside the villa. The bathroom was also extremely big and equipped with both bathtub and shower. There's also a balcony where one can enjoy the view. I'll be brief. The room was exceptional, spacious and very well equipped. I only ate room service but that was one of the best room service meals I have had, excellent. The gym was small but carried all the right exercise equipment. The staff I encountered were friendly and courteous. Other residents I saw looked relaxed and happy in the surroundings. Oh, the surroundings, exceptional location with impeccably kept grounds. I very much look forward to returning. 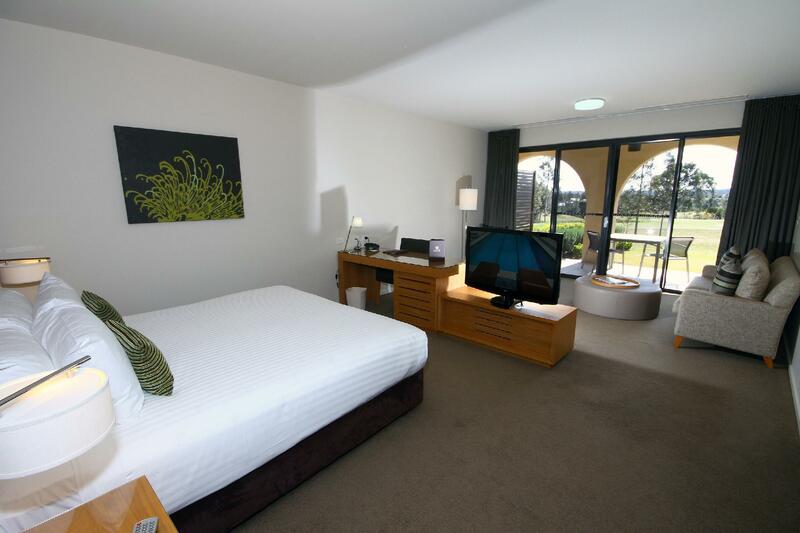 The rooms are spacious, and the rooms ar overlooking the golf court where you might see kangaroos in the evening. The resturant offer great food experience. Conveniently located near many vineyards and wineries. i stayed in this hotel for 1 night. i was staying at the villa room located a the ground floor. the room is very spacious and luxury. everything in the room is perfect especially their signature bed, which can make you feel like sleep in a chateau. even you can buy one in your home. Beautiful surroundings with kangaroos hopping by, a great selection on breakfast counters. The rooms need a bit of an upgrade, and would be nicer indoor slippers are provided. The best thing of this stay was we closely saw the wild kangaroos. They just rested at the backyard of our villa. Hotel was amazing, stayed in the king spa deluxe room, bed was comfy and room was immaculant. Prices for tge mini bar was value for money! Beatifully appointed serviced apartment in a lovely setting. Facilities and environs were very nice. The grill house was excellent. Need to have a car to get around. Overall excellent. Me and my husband stayed 2 days-2 nights over the labour day long weekend. 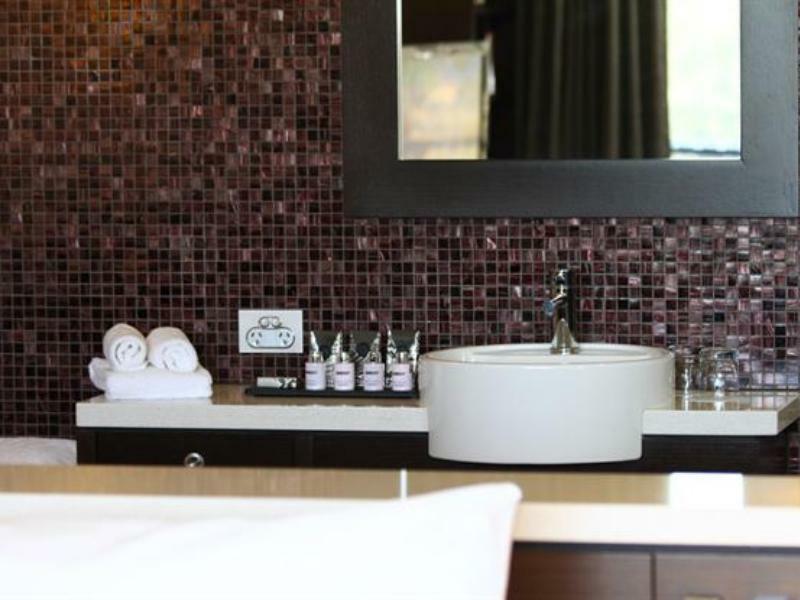 Pros - great location & facilities, friendly and helpful staff, good food Cons - the housekeeping staff didn't turn up to service our room all day while we were out; they came only by 2pm when we were using our room to freshen up, so they couldn't clean the bathroom. This kinda annoyed me. It can be a challenge to select a good hotel, judging only from online reviews and images. In contrast, checking into the Chateau Elan felt very much like hitting the jackpot. We rented a villa looking out over rolling hills and lawns, equipped with a fully stocked kitchen that made entertaining simple, enjoyed our meals on the spacious terrace and generally had a wonderful time.